Ryan Finds His Forever Home. Celebrating adoption day at the Cheesecake Factory! The objective was to expand our continuum of care by supporting youth upon leaving our residential programs to be placed in a family setting. In 2016, the California Department of Social Services began the roll-out of AB 403: California’s Child Welfare Continuum of Care Reform (CCR). The goal of CCR is for children to transition more quickly into “resource families” giving them the greatest chance to grow up in a permanent and supportive family home. The Youth Homes Resource Family Program is working to grow substantially to assist in meeting the increased demand of the CCR’s emphasis on quickly transitioning children and increasing family placements. We are preparing for the ability to place 12 children in the coming year, with a long-term goal of growing the program to 15-20 youth in placement by the end of 2020. When appropriate, Youth Homes works to reunify children with their biological parents; when it is not possible for children to return to their parents, we turn our focus to finding a loving and stable, permanent placement. Recently, the entire agency celebrated a wonderful conclusion to a challenging situation with Ryan* and his foster Mom, Amy*. Amy Created a Life-Changing moment by becoming ryan's foster mom. Amy, who has fostered several children over the years, truly created a life-changing moment for Ryan when she welcomed him into her home. As a foster parent, Amy establishes strong boundaries, a structured environment, and operates from a place of loving acceptance – what all children need to thrive. When Ryan was placed with Amy, it seemed like the perfect fit. As a young 15-year old foster youth, along with the normal teenage challenges layered over this was the trauma associated with being a foster youth as well as the unique challenge of being transgender. Ryan began his journey with Youth Homes after being removed from an abusive and neglectful home. Unable to return to his biological parents, he was placed at Youth Homes’ East Bay Shelter. After a year of being in residential treatment, Ryan was ready for a foster family and was placed with Amy. 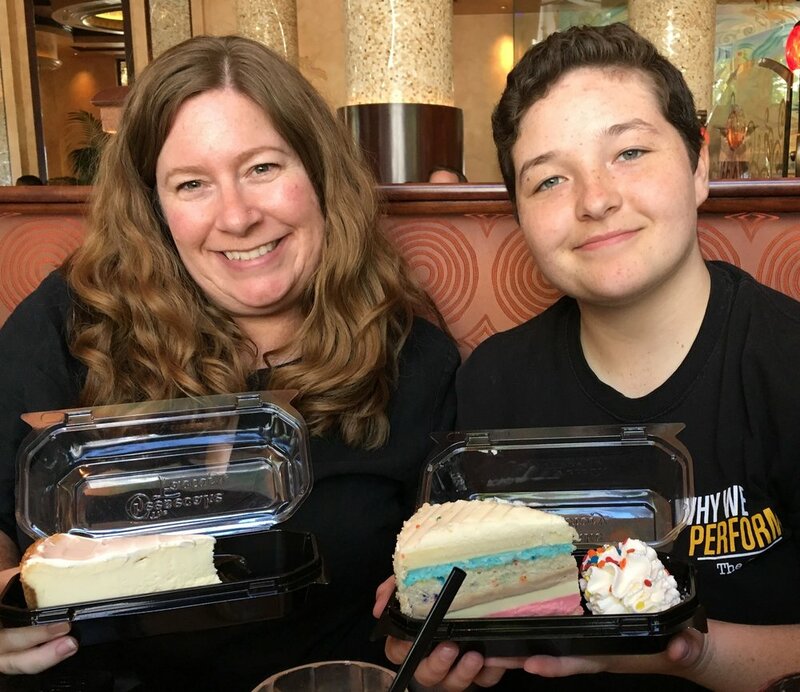 In Amy’s home, Ryan was emotionally supported, encouraged to participate in extracurricular activities, and enjoyed fun weekend excursions with his foster Mom. Due to Amy’s care and attention, Ryan’s world opened beyond his immediate community and put simply, he thrived. In the Fall of 2018, Amy and Ryan joyfully celebrated their one year ‘foster family’ anniversary. Judge Rebecca Hardie makes Ryan's adoption official! The story doesn't end there! In the early summer of 2018, we were ecstatic to learn that Amy had officially adopted Ryan, so they could be a family, forever. Stories like Ryan’s fuel the Youth Homes mission and our vision: we provide a safe place for foster youth to heal and grow and envision a world where former foster kids lead healthy, productive, and whole lives. Our resource families are diverse foster homes made up of all types of wonderful and loving people--traditional and non-traditional, single parents, LGBTQ parents, non-relatives or relatives--all of who are eligible to provide a safe and loving home for a foster child. Becoming a resource parent is an important decision, one that will change your life as much as the life of a foster child. It’s a decision that begins with a conversation. If you’d like to learn more about becoming a resource parent, or other ways to support our organization, please contact our Resource Family Program at: fosterparents@youthhomes.org, or phone us at 925-933-2627.